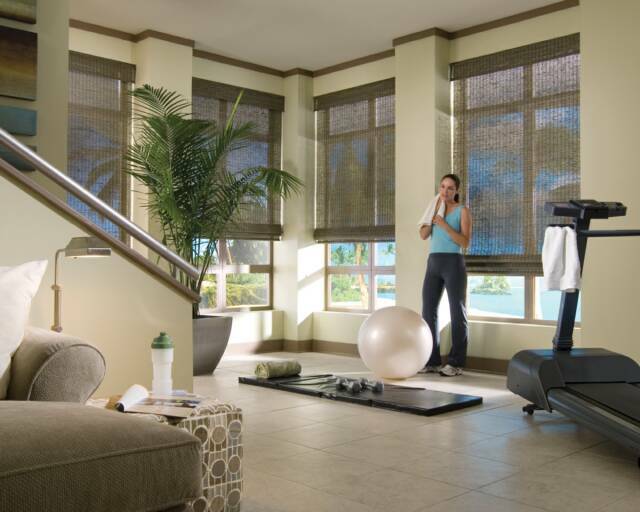 Provenance™ Woven Wood Shades bring nature indoors. 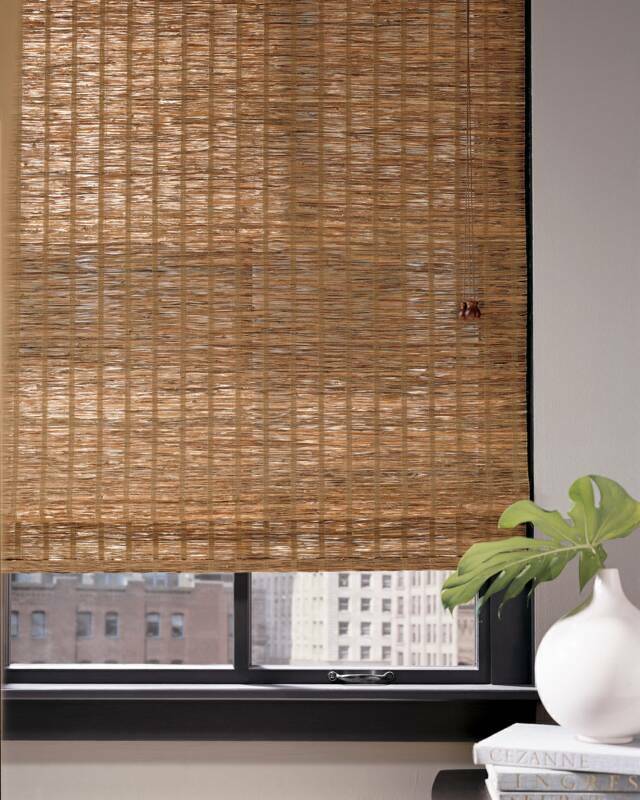 With carefully selected bamboos, reeds, grasses and jutes, Hunter Douglas combines nature with technology – and the outcome is casual elegance. 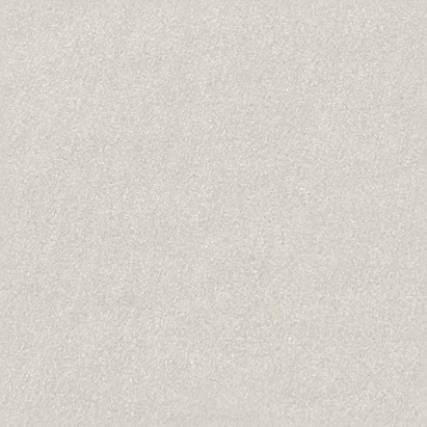 From rustic to tortoise, muted or intense, Provenance makes creating your own island paradise a breeze. 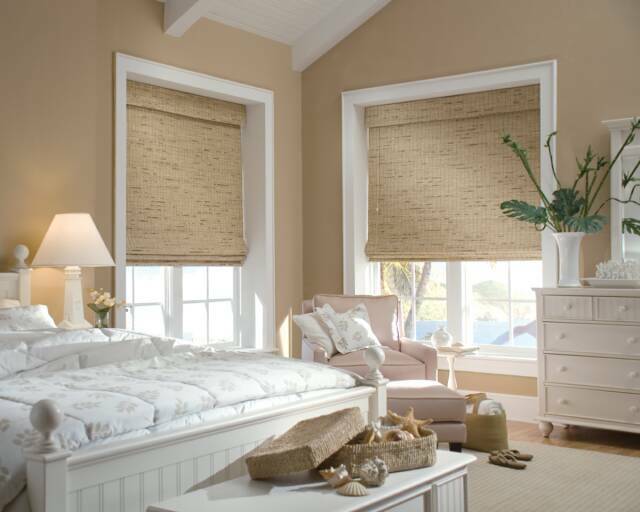 Textures abound and options are endless. 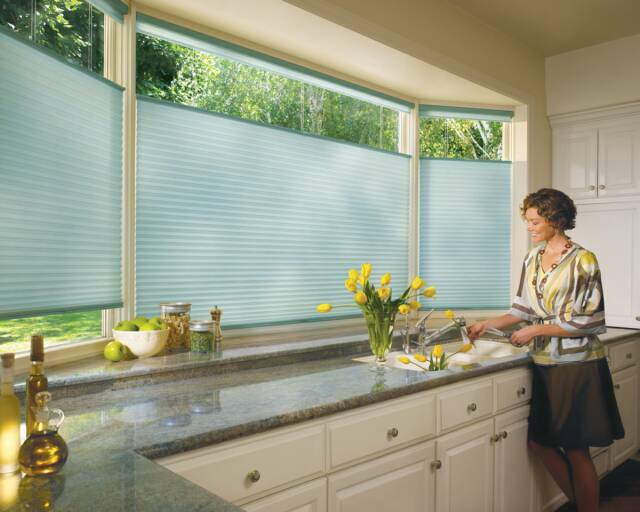 Welcome to a new, natural world of window coverings – pure and simple. 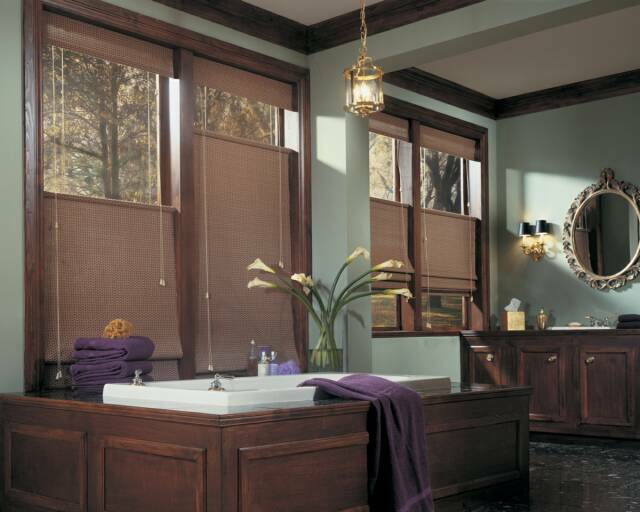 Provenance™ Woven Wood Shades is nature at its finest. 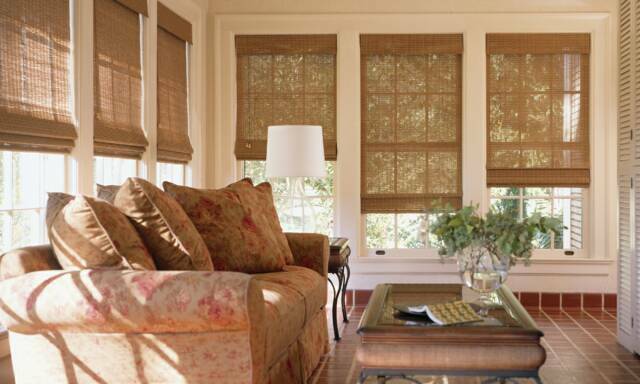 Traditional styling meets the versatility of natural wood and makes quite a statement in any room in your home. 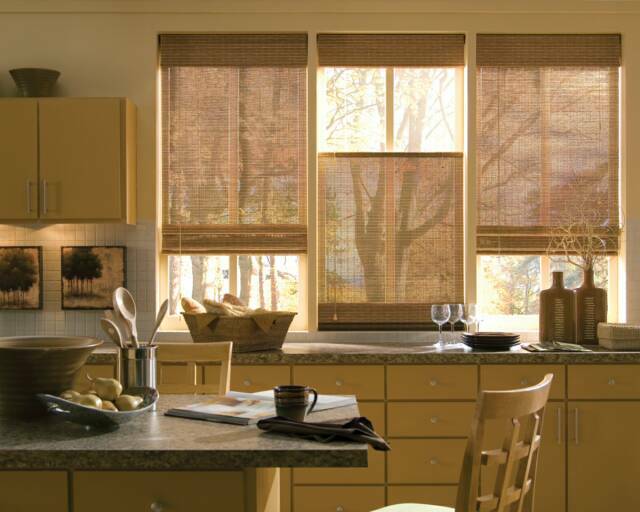 Imagine a rustic-style kitchen, an elegant living room or a contemporary dining room. 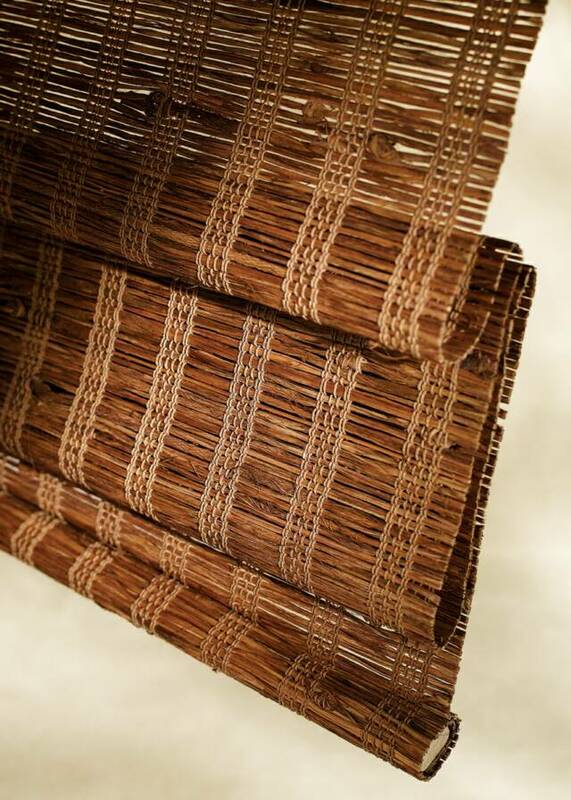 Complement your personality and living quarters by selecting from a variety of reeds, bamboos and grasses. 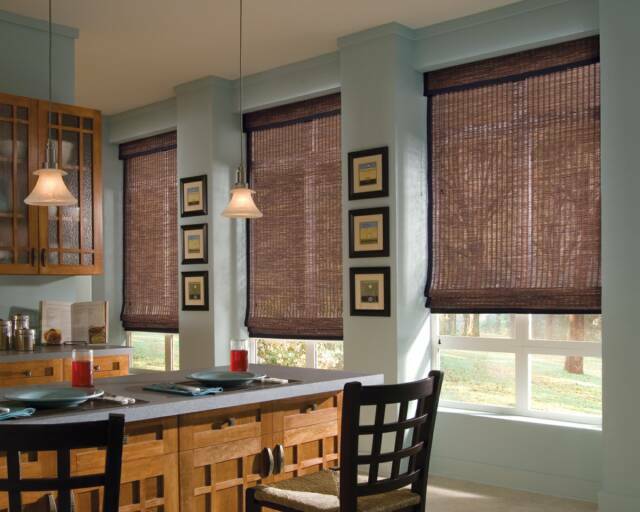 Enjoy the tailored look of Provenance shades as they hang flat in the lowered position or the inviting look of the overlapped flaps when raised.